If you are looking for a wedding photographer, ﬁrstly let me congratulate you on your engagement. 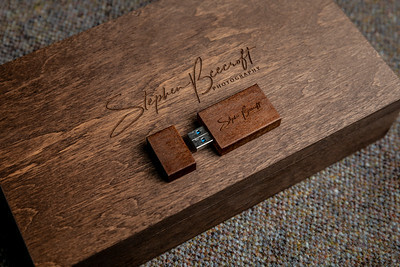 Secondly I would love to hear from you so we could arrange an informal consultation to talk about what you have arranged so far and to talk over what Stephen Beecroft Photography could do for you. My style is a combination of bold dramatically lit images mixed with a natural and timeless look. My current fee to photograph your wedding is £1195. This is for me to be there from the start of the day until after the first dance has ﬁnished. Afterwards I will process your images and these will be delivered to you on a USB drive inside a Presentation box (Images below). 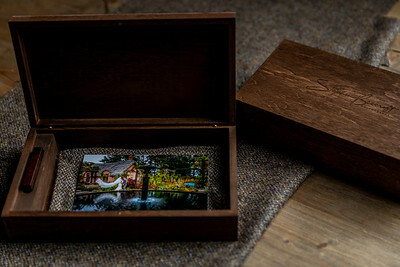 You will be able to share and print your images as you please. I will also place these images into a password protected online gallery that you can share with family and friends which allows them to order prints to be delivered directly to themselves. My Wedding Book is available at a starting price of £225. This can be purchased before or after your ceremony. An additional Photographer can be added to your day for a cost of £300 - Subject to availability. This can be added to your Wedding package at anytime before your Ceremony. For any other Photography work then please look at my Services page HERE. "When it comes to planning your wedding day, I honestly believe that choosing the right photographer is the single most important decision you and your fiancé will make. 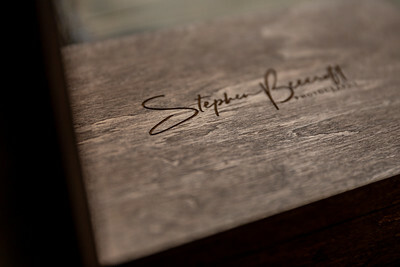 Luckily for my wife and I, we chose Stephen Beecroft. From the moment we had our first consultation with Stephen, I knew we had made the right choice. Stephen was attentive and supportive of our ideas but was also able to offer advice and gave us a wealth of suggestions on how we could make our wedding day that much more special. During the day itself, Stephen and his assistant Callum were exceptional. They put my wife and I instantly at ease and at no point did their presence feel intrusive. Stephen and Callum were seamlessly able to capture of all of the vital, quiet moments of our day from some truly incredible viewpoints while also efficiently gathering all of our friends and family together to take stunning more ‘traditional’ photographs. One of Stephen’s suggestions was to take photographs in a lesser known part of Newcastle’s quayside which had some of the most interesting and spectacular views of the Tyne I had ever seen. Spending these personal moments with my wife alongside Stephen and Callum are some of the happiest memories of my wedding day and for that I will forever be grateful. Stephen’s professionalism is second to none. 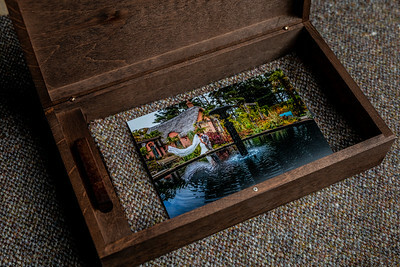 When it finally came to view our finished photographs, he had worked tirelessly to compile a set of images from the day that brought our happiest and most special memories of our wedding day to life. Sitting with our closest family members, looking through each photo was a day that will stay with us always and I can’t thank Stephen enough for giving us that experience." - David Gregory - Mr & Mrs Gregory's Wedding. Here are some of the venues that I have photographed at. Don't worry if your venue is not listed I love going to a new venue as much as I do going to one I have been to before.